In an email to Windows Phone 7 developers, Microsoft has today revealed the categories and sub-categories that it plans to categorize the Marketplace for Windows Phone 7 into. As revealed, there will be 16 categories and 25 sub categories and a wide range of app types. 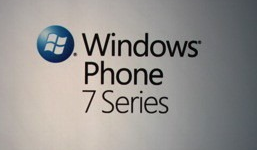 Microsoft had already announced that users will be able to install apps on Windows Phone 7 only through Marketplace. The concept of Marketplace will be almost same as that of Android Marketplace, except that for approving apps Microsoft will go Apple’s way. Microsoft will be approving each app before it appears on the Marketplace. Microsoft also said in the email that they would begin accepting the submissions to the marketplace in early October. Nice app.. In user can easily find out what they are looking for..